Churchill on Hudson Bay is one of the best places on earth to experience the Northern Lights. This tour is timed to provide the best possible chances for success. 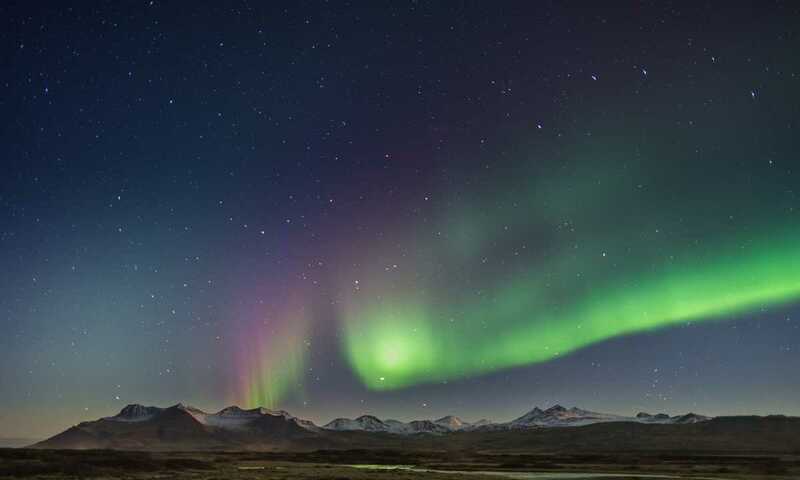 By night encounter the extraordinary Aurora Borealis from comfortable, heated viewing platforms, while day activities include dog sledding and learning about life on the Arctic fringes. Arrive in Winnipeg and transfer to the distinguished Fort Garry Hotel. Built in 1913 by the Grand Trunk Pacific Railway in the style of a French chateau, it remains the grande dame of Winnipeg hospitality. This evening, enjoy a welcome dinner with your Expedition Leader and fellow travellers. Board our flight to Churchill this morning. On arrival, we transfer to our hotel and take a brief tour of this historic settlement that was originally a Hudson's Bay Company fur-trading post established in 1689. As night falls, we head out in hopes of a first chance to see the spectacle of the aurora borealis. The display often begins as a pale glow low in the northern sky that slowly begins to shift and undulate. Wavy patterns evolve, colours appear and change, until the lights look like shimmering curtains of green. Sometimes other colours appear, too: yellow, red or even purple. On these dark, frigid nights in the Canadian North, we place you in prime locations away from Churchill's lights, where views of the aurora are best. Yet we don't stand outside in the cold while we wait for the lights to appear: each evening includes a vantage point on the night sky where we can witness the phenomenon in warmth and comfort. Our custom-designed Aurora Pod® features 360-degree views of the sky, courtesy of its exclusive geometric glass construction including clear half-walls and a glass ceiling. We'll also look for the lights from Plexiglass Aurora Domes. Relax on the sofas below, climb the ladder to the upper level for an unimpeded circular view, or head outside for a totally clear vista of the shimmering skies. As we marvel at the sky, there will be ample opportunities to capture those coveted glowing photos with tips from our Expedition Leader. While our nights are devoted to watching the aurora, daylight excursions focus on the austere beauty of our tundra environs. We'll learn the art of igloo building during a mittens-on experience, all the while keeping an eye out for hardy northern wildlife such as Arctic hare and Arctic fox, artfully camouflaged by their winter-white fur coats. The town of Churchill offers delightful encounters with historic buildings, interesting local people and roving sled dogs. Though the Hudson’s Bay Company established a fort here in 1717 as part of its fur-trading network across the Canadian North, indigenous cultures had already been flourishing in the harsh climate for thousands of years. We explore their heritage on a dog sled ride through the boreal forest, during a visit to the Eskimo Museum, and via cultural programs featuring the arts and traditions of the Inuit, Dene and Metis peoples.